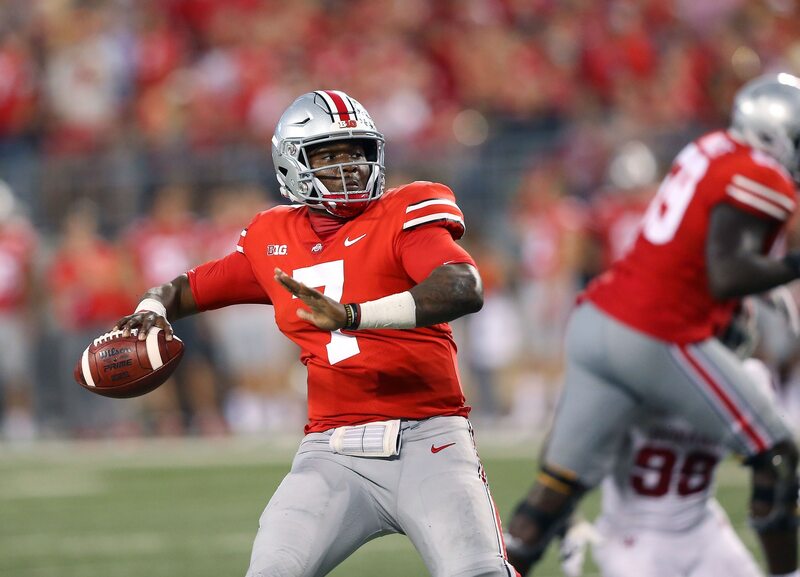 It wasn’t that long ago that the New York Giants were said to be uninterested in Ohio State quarterback Dwayne Haskins, but clearly that’s no longer the case. Haskins told Dan Hope of Eleven Warriors on Sunday afternoon that he will be taking a pre-draft visit with the Giants this coming week. The Giants have the No. 6 overall pick, the No. 17 overall pick (acquired in the trade that sent Odell Beckham Jr. to Cleveland) and the No. 37 overall pick. Despite rumors that Haskins’ draft stock is sinking, it stands to reason they’d need to use one of those first two picks — if not the No. 6 overall pick — to secure Haskins if he’s their target. In fact, given the interest another team selecting in the top four has, they might even need to trade up to land him. During his lone season as the starter at Ohio State, Haskins broke passing records previously held by Drew Brees, throwing for 4,831 yards and 50 touchdowns.